Are you tired of the daily grind, travelling miles to work and arriving home only to be greeted by the same surroundings? Well then, at some point you must have considered what it would be like living somewhere else. Here at Moving Service we can make this happen. A relocation company in Harringay, N4, we have been helping people change their lives for the better, and move into the local area. We have been helping families with their house moves, businesses relocate their offices, and students move into rented accommodation for many years now and have achieved a fantastic rate of satisfaction from our clients. Our services are second to none, so you can find everything that you want from a removal company directly from us. If you’re feeling apprehensive about entrusting us with your move, or simply don’t know what we have to offer, then get in touch with us now and give us a call on 020 8746 4402, discuss your requirements further with one of our friendly customer service representatives in Harringay who will talk you through the range of services we have available and offer you a free quote. The area falls under the London Borough of Harringey. 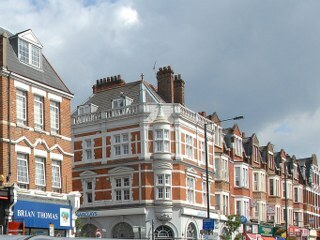 It is a mainly residential area situated in North London and its postcode districts are N4 and N8. Move to this area and forget commuting for hours at a time to get into Central London. With quick transport links, you will be home in time to read your kids a bedtime story. The area is well served by both Harringay railway station and Harringay Green Lanes railway station which can get you to Charing Cross in about 30 minutes. The main shopping area is the Arena shopping centre where you can find everything from local delicacies to clothes and fashion items. Alternatively, visit the Green Lanes for some fine dining or go for a pint in one of the many Grade 2 listed pubs. Whilst you’re there, take a walk along the New river, a man made river that meanders its way through the local area. There are plenty of parks and open spaces such as the Railway Fields which makes for a tranquil setting and is a serene location along the New river. 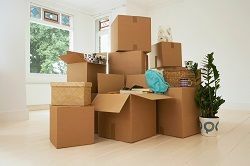 Since you’ve been considering a move to Harringay, N4, why not get the process underway and use Moving Service to help with all your removal requirements? With our removal company we have your move well and truly sorted and will alleviate the stress that comes with relocating to a new area. Our removal services include transport, packing and unpacking services and use of our storage facilities amongst many others. If you’re short of time or just require some extra assistance, some of our hard working crew members can arrive at your house before moving day at a time and date that suits you, and can safely pack all of your items that are coming with you on your move in Harringay. On the day of the move, we will load your possessions into our fully equipped moving vehicle, ensuring that they are well secured for transportation. You can also put some of your items into storage, if your house isn’t quite ready yet. Once at your destination, we can help you unpack so you can get settled into your new house as quickly as possible. So call us now on 020 8746 4402 for a free quote.